FREDON — Marcus O'Sullivan thought he had hit rock bottom. It was the 1983 Penn Relays and the Irishman was part of Villanova University's men's track and field team that did not earn a single gold medal at the prestigious meet in Philadelphia. O'Sullivan took the blame for the Wildcats' shutout, which was the first time that happened to them there in 20 years, so much that the middle-distance runner was about to quit the sport. But when he returned to his home country a few months later, O'Sullivan met with former Villanova runner and mentor Donal Walsh and received a wake-up call he would never forget. 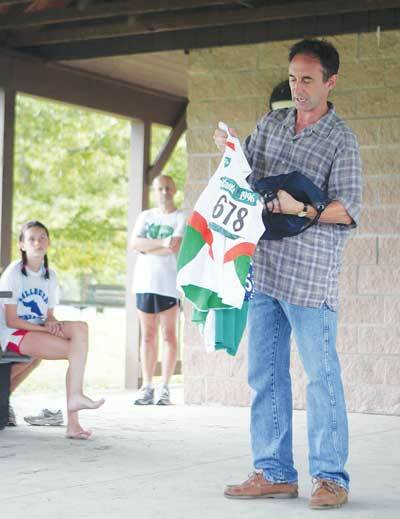 "He looks at me and says, ‘You're an absolute disgrace,'" O'Sullivan recalled while speaking to about 50 children Friday at the 13th annual X-Treme Running Camp at Lodestar Park. "‘You've been give a gift and you've been squandering it.' And he said, ‘You need to start training tomorrow. You've wasted so much time already and you don't have much time. 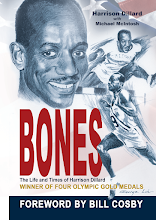 The Olympic-year is next year (1984) and you need to go back to school.'" O'Sullivan felt experiencing that talk with Walsh helped him not only lead Villanova to two golds at Penn, but also earn a trip to the '84 Summer Games in Los Angeles, the first of four Olympic appearances he made for Ireland. More importantly, it taught him to see his "journey" to the end, a lesson he emphasized to the campers. "For the first time in my life, I realize that the worst thing in life, or what you think is sometimes the worst thing in your life, is failing and it is not," O'Sullivan said to the campers during a 20-minute speech. "The worst thing in life that can happen to you is passing through and not trying." Before becoming a four-time Olympian, O'Sullivan was just dreaming of becoming one when he and his family would walk 12 to 13 miles every Sunday morning. 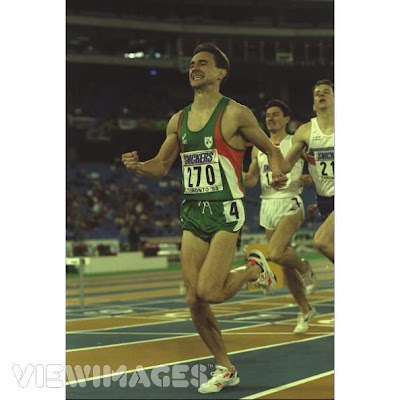 During one of those walks, O'Sullivan asked his father if he thought he could make Ireland's Olympic squad despite having no prior running experience. "My dad said, ‘Well, '76 is coming up soon and that's going to be in Montreal and '80 is already assigned to Moscow and I think that will be too early for you," Sullivan recalled. "But '84 is a good year.'" After talking with his father, O'Sullivan joined a local running club. On his first day with the club, O'Sullivan said he ended up getting outrun by a group of girls and decided to quit the sport. O'Sullivan managed to get back into running a couple of years later and made his high school cross country team, but "never, ever won" while competing. After graduating high school in 1979, O'Sullivan decided to take a job making spinnakers for ships at 25 cents per hour, but still felt he could run well enough to get a scholarship to a college in America. While working, he met Walsh, who wanted to help O'Sullivan by running with him every day. "He took me under his wing," O'Sullivan said. The running with Walsh paid off, as O'Sullivan earned a scholarship to Villanova, where he would become one of the best middle-distance runners for the Wildcats from 1980-84. He then went on to run professionally for 15 years while making the Olympics in 1984, 1988, 1992 and 1996, winning the World Indoor Championships three times in the 1,500-meter race, earning medals at the Goodwill Games, the European Championships, the World Championships and the U.S. Championships and running the mile in under four minutes 101 times. O'Sullivan felt his greatest moment was making the Olympics for the first time in '84 considering all that happened in 1983. "It was special," O'Sullivan said. "I almost quit the year before. To me, the most important thing I reflect back on that year was the journey. It was intense." O'Sullivan's story touched runners Dylan Capwell and Lindsey Green so much that they want to better themselves for their upcoming track and field and cross country seasons for Hopatcong High School and Blair Academy, respectively. "With his story, he only had a year until the Olympics (to get better)," said Capwell, a rising senior who took sixth at the Meet of Champions in the 800 last year. "I'm just trying to get a better medal at the Meet of Champs. With that being said, it shows that I could step it up and get that No. 1 spot." "He (O'Sullivan) felt so hard on himself, but he made it to the Olympics. " said Green, a junior at Blair. "Even me, last year wasn't so great. I felt so hard on myself all the time, but you just have to keep pushing through."